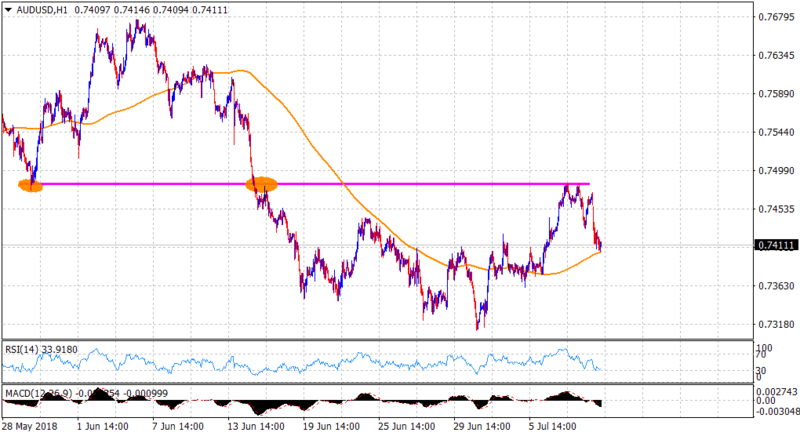 • The pair extended this week's rejection slide from a previous support now turned resistance near the 0.7480-85 region and dropped to test 200-hour SMA. • Escalating US-China trade war fears has been one of the key factors weighing heavily on the China-proxy Australian Dollar. • With short-term technical indicators drifting back into bearish territory, the pair seems more likely to continue with its downward trajectory. • The current fall could also be seen as the end of the recent corrective bounce and thus, increases prospects for the resumption of the prior weakening trend.